When will the ministers’ stumbling end? The Government has lurched from one disaster to another this week and ministers will be hoping the weekend will bring a new focus from the nation’s media. 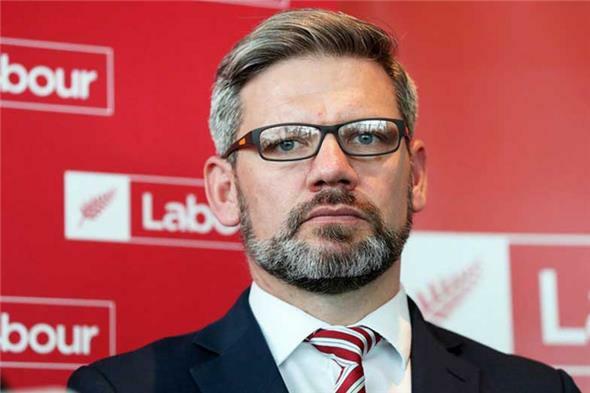 Immigration and Workplace Relations Minister Iain Lees-Galloway is at the centre of two major back downs and is hanging on to his ministerial warrant simply because there is no one else available to step into these two important roles. Because Labour was in Opposition for so long, experience is not something its new MPs can claim. While there are capable Labour MPs sitting on the backbench, throwing a first term MP into the cauldron of cabinet will backfire. National keeps calling for Lees-Galloway to resign, but it is in the best interests of National to keep him in office, and making mistakes. As Immigration Minister, Lees-Galloway has reversed his decision to give Czech drug smuggler Karel Sroubek residency when he is released from prison, scheduled for 2022. And, of course, the Government has launched a review of the process. The Government has so many reviews happening right now, it is hard to keep up. At last count there were more than 160 reviews happening around the country. As Workplace Relations Minister, Lees-Galloway has had to give way to some BusinessNZ demands and change what was to be Labour’s repayment to trade unions for their support during the election. Council of Trade Unions secretary Sam Huggard is unlikely to be happy ceding some of the conditions unions wanted. Unions still get the power to enter workplaces involved in national collective bargaining agreements. But employers can now apply to be excluded from multi-employment contract agreements (Mecas), once known as national awards. The queue to get out of the collective bargaining will be long and strong. Cases will be made, particularly in regional New Zealand, for employers to be exempted simply because a pay rate in Auckland does not match the cost of living in the regions. New Zealand has become the latest country to block a proposal to use telecommunication equipment made by China’s Huawei because of security concerns. China is NZ’s largest export market currently, though it sometimes comes second to Australia which has also taken action against Huawei. United States President Donald Trump has urged the five-eyes spy network, made up of the US, Australia, New Zealand, Canada and Britain, to block Huawei because of the significant risks posed by Huawei. Spark, New Zealand’s largest telecom company wants to use Huawei equipment in its 5G mobile network. Huawei equipment is already used in New Zealand and the company’s phones are among the most popular sold in this country. The Government will put New Zealand’s trade with China at risk by this short-sighted decision. The 5G networks are the next wave of technology and Spark says its network will be essential to live stream the America’s Cup races being held in Auckland. Once again Regional Development Minister Shane Jones has waded in and had his say about national carrier Air New Zealand in which the Government still holds a more than 50% stake. The latest safety video featuring New Zealand film star Julian Dennison has raised Jones’ wrath with its rap lyrics. The video features Dunedin, Central Otago, the Maniototo and other parts of NZ. But Jones says it is crap. Whether Prime Minister Jacinda Ardern will need to have a word to her minister is yet to be seen. And finally, a Capital Gains Tax seems very likely after the next election if Labour can hold on to power. Former Labour finance minister Sir Michael Cullen has persuaded the majority of his tax working group to accept a CGT, though a few are still holding out. The tax was raised as an election issue 2014 when Labour lost. It was taken off the “public table” during the 2017 election but insiders knew Finance Minister Grant Robertson wanted it back on the table. By appointing his mentor to chair the tax working group, Robertson will get his wish. National leader Simon Bridges says he will repeal any CGT, and there will be no taxes under his leadership. No one seriously should believe him. Once taxes are in place, they are difficult to remove. Even harder to believe is Bridges still leading National at the next election.